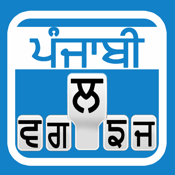 Punjabi Keyboard is specially developed and designed for those who want to write SMS and E-mail in their native language Punjabi. Through this application, the user can be able to update their status on Facebook in Punjabi language and can tweet in Punjabi as well on twitter. The user can save name in contact list by typing in status board, copy and then paste in Contact list. - This Application enjoys four sorts of Keyboards e.g. Standard, Phonetic, Punjabi and Capital English Keyboard, in order to enable users to type any texture from any of the above choices or any amalgamation of these. - It enables users to send emails and texts in all the above mentioned formats. - Text written as rough draft can be erased as well. -Text written can be saved to be used for next time. - It is a blessing in disguise for Punjabi lovers because using it they can post on social websites like Facebook and Twitter in their own language shunning all language barriers. - Youtube can be used and accessed using that Keyboard. Searching can be made using through Punjabi as well as English Keywords. - This application can be used to make translation to any language of user's choice using built-in Translator, which can be listened as well. - One can switch over times and again from one Keyboard to another without affecting the previous text. - Our Keyboard has numbers and punctuations as well to be used when desired. For any sort of queries, please feel free to contact sabeelonet@gmail.com. Your valuable suggestions are a source of light for us, please let us know about any new suggestions, problems, shortcomings etc., so that we can build upon them in our next version. Your comments and ratings will be a source of delight and guidance for us paving way for our next version to be placed in your service.